Monaco manager Leonardo Jardim insists his free-scoring team are not among the favourites for Champions League success despite seeing off Borussia Dortmund 3-1 at Stade Louis II to secure their place in Friday’s semi-finals draw. An early goal from Kylian Mbappe set the Ligue 1 leaders on their way, with Radamel Falcao heading a second before Marco Reus netted a consolation for Dortmund just after the restart and Monaco substitute Valere Germain then swept in a late third. 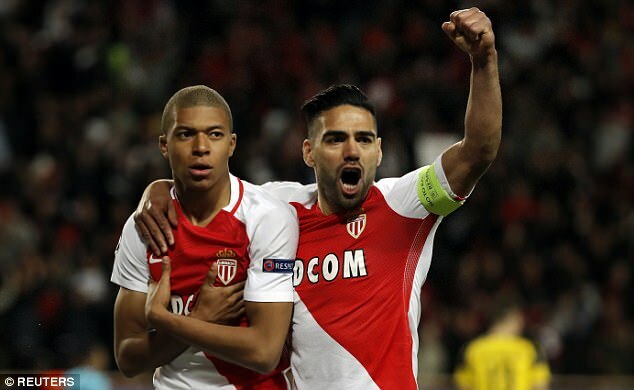 It was the fourth consecutive Champions League match in which Monaco had scored three goals, their impressive performance in the disrupted first leg having set the tone for Wednesday night’s return. The Germans were up against it having lost 3-2 at home last week, the match played a day later than originally scheduled after three bombs exploded close to the Dortmund bus, leaving defender Marc Bartra in hospital with arm injuries. 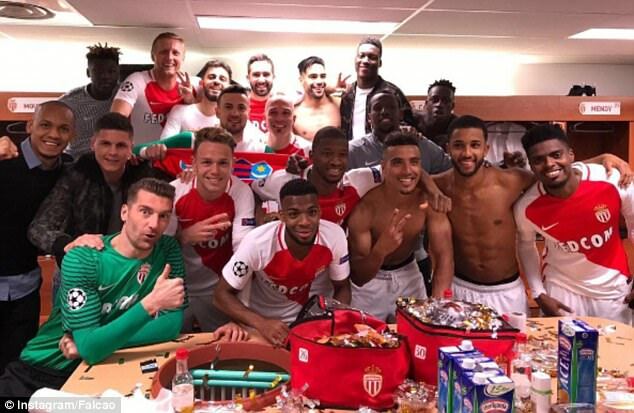 Although the Spaniard was able to attend the return match in Monaco and sit with his squad on the bench as well as deliver the final part of what was most-likely an emotional team talk, there was to be no fairytale ending as Monaco completed the job with another impressive victory. Following a five-minute delay to kick off after the Dortmund team bus had been held up by police en route to the stadium, Mbappe fired the hosts into an early lead. Dortmund midfielder Nuri Sahin hit a post with a free-kick before Falcao headed in a second for Monaco on 17 minutes to all-but end the match as a contest. German midfielder Reus found the net at the start of the second half, but Monaco substitute Germain added a late third for Jardim’s well-drilled outfit just moments after coming on. Jardim, though, believes the Principality club, who are the first Ligue 1 side to reach the last four of the competition since Lyon in 2009-10, still have it all to do when taking on the European elite. ‘All the players played to a high level tonight and I am very happy with the performance of all of them,’ said Jardim, whose squad came through the qualifiers to then see off the likes of Tottenham in the group stages and then Manchester City. 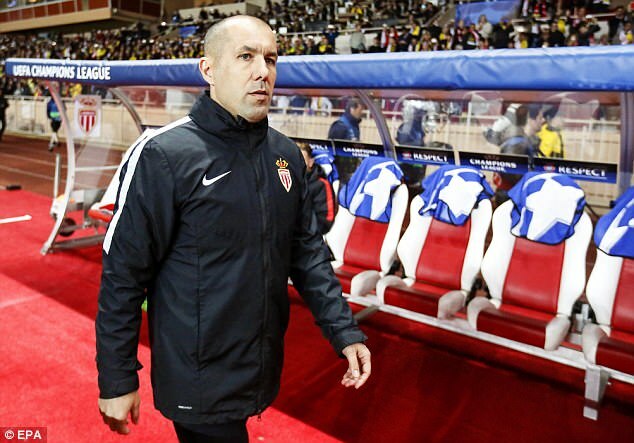 Jardim added in a press conference: ‘There are now three great teams (in the draw) with a lot of experience. We will enjoy it and play with our quality. Dortmund were earlier left unimpressed by their delayed arrival, which the Bundesliga club said in a post on Twitter was because the bus had been stopped by police ‘for approximately 20 minutes without justification’. Whatever the reasons behind the travel issues, there was nothing but support for Dortmund inside the ground. Before kick-off, the home fans showed solidarity by unveiling a banner which read: ‘BVB: You Will Never Walk Alone’ as the anthem played out around the Stade Louis II. Dortmund coach Thomas Tuchel accepted his side had come off second best, with Monaco’s early goal ‘destroying our belief’. ‘We started well with one or two dangerous moves where we found some space and then conceded an unlucky goal. That destroyed our belief a bit, then we made too many mistakes in our passing and positioning,’ the German said. ‘In the second half we tried to rally again, but we were never able to follow up on our goal. ‘Altogether, our performance was not up to it.